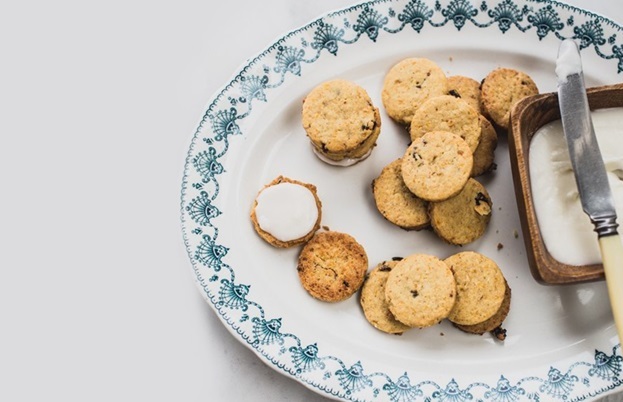 A bite-sized ode to the carrot cake, Izy's orange-flecked, crumbly biscuits have all the flavour of this traditional cake, and are sandwiched together with a rich coconut cream cheese icing. Cake and biscuit in one! I’m all about the carrot cake - all I want is a light, spiced cake with cream cheese frosting and toasted coconut. While carrot cake is a widely accepted recipe now, I still think some people are against the whole vegetables-in-dessert thing. Due to their sweetness, mild flavour and water content, carrots are brilliant for cakes as they keep them from becoming too dry without any adverse flavour notes. In biscuits however, the moisture content can wreak havoc, creating a cookie which is far too light and cakey. I’ve found that the key to keeping carroty biscuits crisp is to use a combination of cornflour and a lot of butter, thus making them quite similar to shortbread. 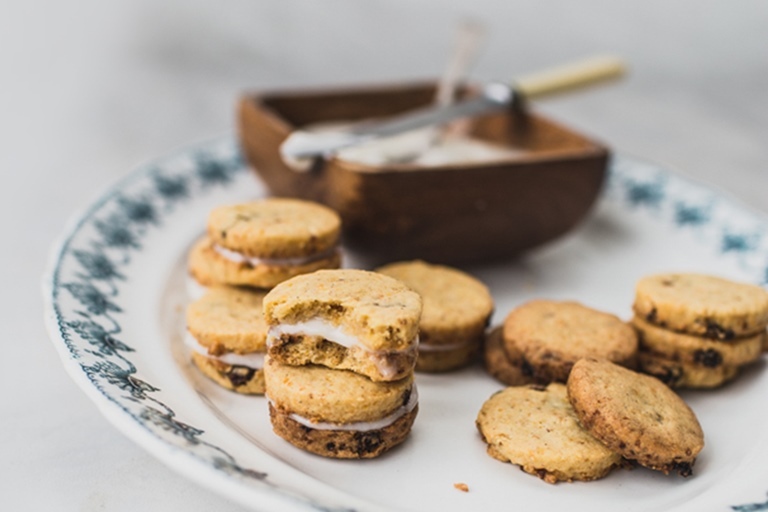 These orange-flecked biscuits retain that crumbly nature whilst gaining chew from the raisins and flavour from the spices. Sandwiched up with a smidgen of coconut-flavoured cream cheese icing and you’ve got a bite sized ode to carrot cake. 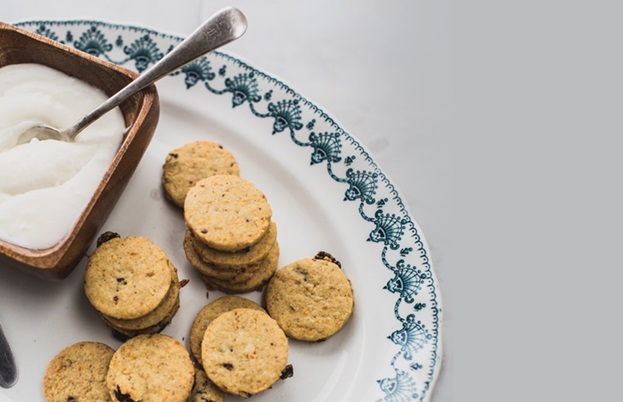 These little biscuits are good any time of year, but particularly at Easter if you're not fussed by a traditional Simnel cake or all things 'egg-shaped'.